'Creed' helmer Ryan Coogler is reportedly in talks with Marvel to direct 'Black Panther' unless the studio screws it up. Joss Whedon, Jon Favreau, Russo Bros., Kenneth Branagh, Peyton Reed, James Gunn, Alan Taylor, Shane Black have a lot in common. Besides being talented directors who've directed very successful superhero movies for Marvel Studios they all happen to also be white. A new report has 'Creed' director Ryan Coogler in talks with the studio about directing the upcoming 'Black Panther' film. Coogler could become Marvel's first person of color to helm one of their franchises. It would be a long overdue hire after 12 films featuring only white male directors as long as Marvel doesn't fumble the negotiations a second time. The acclaimed director of 'Selma' Ava Duvernay was also approached earlier this year to direct 'Black Panther' but the "creative differences" was the basis of her passing on the project. "This is my art. This is what will live on after I’m gone. So it’s important to me that that be true to who I was in this moment. And if there’s too much compromise, it really wasn’t going to be an Ava DuVernay film." She also noted the time commitment to a film franchise that could consume her for three years keeping her from doing other projects. 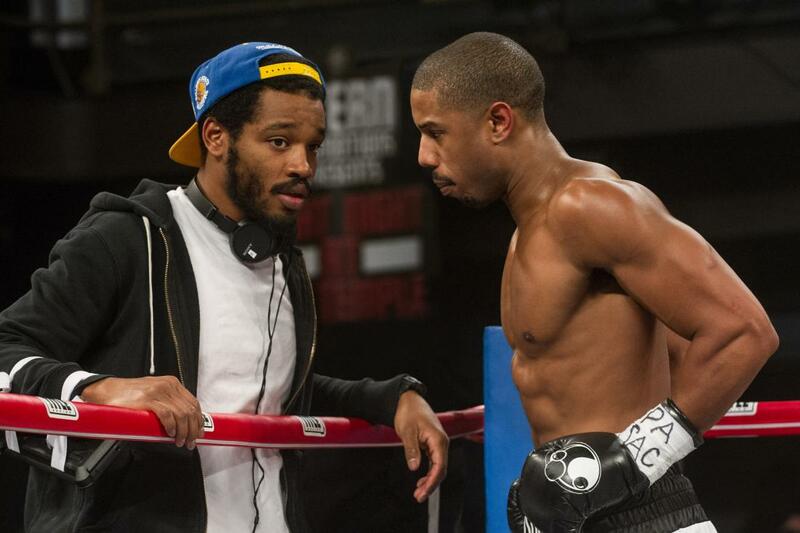 It's a reality that Coogler will have to weigh as he negotiates with the studio. After a dynamic debut by writing and directing 'Fruitvale Station,' the true life story of Oscar Grant who was shot in the back while handcuffed by a Bay Area transit cop, Coogler became a hot property. His personal passion, however, was bringing another chapter of the 'Rocky' saga to life by focusing on the son of Apollo Creed, Adonis played by 'Fruitvale' star Michael B. Jordan. The 'Rocky' movies had been a special bonding memory of Coogler's relationship with his father. 'Black Panther' represents a lot of things for Marvel Studios who've stayed on their stringent plan of producing films for their most popular comic book characters in phases. And some not so popular. Regardless of quality, the studio has had hit after hit with even obscure properties like 'Guardians of the Galaxy' and 'Ant-Man' becoming box office home runs. While the majority of the leading film franchise characters have been white, there have been some supporting characters of color. Nick Fury, Sam Wilson/The Falcon, and Jim Rhodes/War Machine have all played an important part of the Marvel Cinematic Universe mythos, but none had their own solo film. 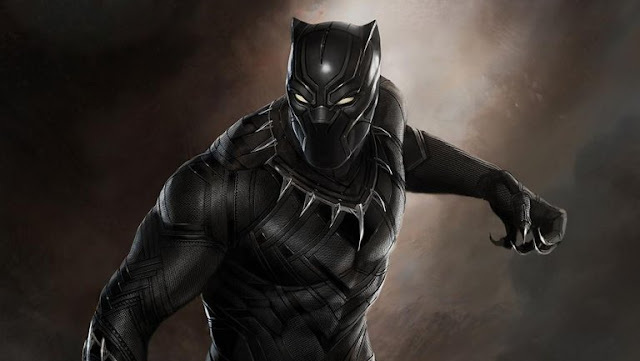 In the fictional African nation of Wakanda, T'Challa (played by Chadwick Boseman) rules as the head of the Panther clan, the clan above all others in the technologically advanced nation. He is one of the smartest people on earth, an Olympic-level athlete, and historically empowered by mystical forces. His role in the upcoming 'Captain America: Civil War' is described as a third party with his own agenda. "Panther was added to the story ahead of his solo-movie debut because Civil War needed someone who had his own agenda, who was a third party separate from the factions that aligned themselves behind Captain America and Iron Man." What Coogler has done as the writer, co-writer, and director of his first two films is bring a nuanced and informed approach to the material that only someone who is African-American can bring. The interpersonal relationships he establishes in his films, especially those involving women, adds a layer of realism and relatability that makes them three-dimensional characters. The latest example, one that has endeared 'black twitter' in particular, is a scene in 'Creed' where Adonis is helping Bianca (Tessa Thompson) with her hair. It's an intimate and vulnerable scene between the two characters where they're examining each other's fears. It also serves as a metaphor for how they support each other in the film. With all the well-earned criticisms over the last couple years of Marvel's lack of race and gender diversity in everything from comics, toys, television shows, and movies the hiring of one the hottest directors to direct the highly regarded African Avenger would be a momentous step in the right direction. Unless of course, Marvel finds a way to screw it up.